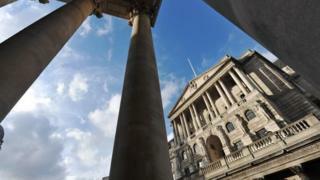 Is Labour right to review Bank of England's mandate? Few economists would accuse Labour under its new shadow chancellor John McDonnell of being nuts for deciding to review the mandate of the Bank of England's Monetary Policy Committee (MPC) - even though many at the Bank will be made uncomfortable by that review. Apart from anything else, since the crash of 2008, the MPC has failed to hit its target of 2% inflation - with a symmetrical margin of error of 1% above and below - more times than it has succeeded. There have been credible reasons for that failure: increasing interest rates to curb inflation in the Great Recession might have turned that recession into a depression. But there is something odd - and perhaps ultimately credibility destroying - about a target more honoured in the breach than in the execution. And not all successful central banks have mandates quite so narrowly defined in terms of inflation. The US Federal Reserve, for example, is obliged to maximise employment as well as price stability. So perhaps there is something to be said for broadening the remit of the MPC - although it should be pointed out that the world's investors who lend to governments are more tolerant of failure by the Fed than by the Bank of England, because they are obliged to invest in dollars in a way that they don't have to hold pounds. The argument for changing the target seems more compelling perhaps in today's world where inflation is zero and deflation imported from a slowing global economy seems as big a threat to some - including the Bank of England's chief economist Andy Haldane - as a return to confidence-damaging price rises. Mr McDonnell yesterday suggested new targets could also include growth, jobs and earnings. As it happens his Labour predecessor, Gordon Brown - steered by his then economics guru Ed Balls - considered the case for a broader mandate when giving control of interest rates to the Bank of England in 1997. They rejected that approach for fear that muddled policy would be the consequence. There is virtue in simplicity, so long as the exclusive focus on prices does not wreak the collateral damage of undermining living standards. There are some who would like to see the Bank doing more now to stimulate growth and employment creation, and are concerned that its hands are tied by its official forecast that doing nothing will bring inflation back to 2% over the next two or three years. For those critics of Bank inaction, an increase in the inflation target to 3% or so would be a possible solution. Which perhaps highlights that there is a big question about Britain and the rich West to be answered here. Has the beast of inflation, which for most of the post-War years was the UK's prosperity-hurting nemesis, been slayed - or at least imprisoned for a generation? Or is the monster hiding, ready to pounce and complicate businesses' investment decisions and households' saving calculations? Or possibly, as some argue, a bit of inflation, especially wage inflation, that cut the deflationary burden of our record debts, would be a good thing. All of which suggests that Mr McDonnell's debate about the Bank of England may be a debate worth having, though the optimal outcome isn't easy to see.